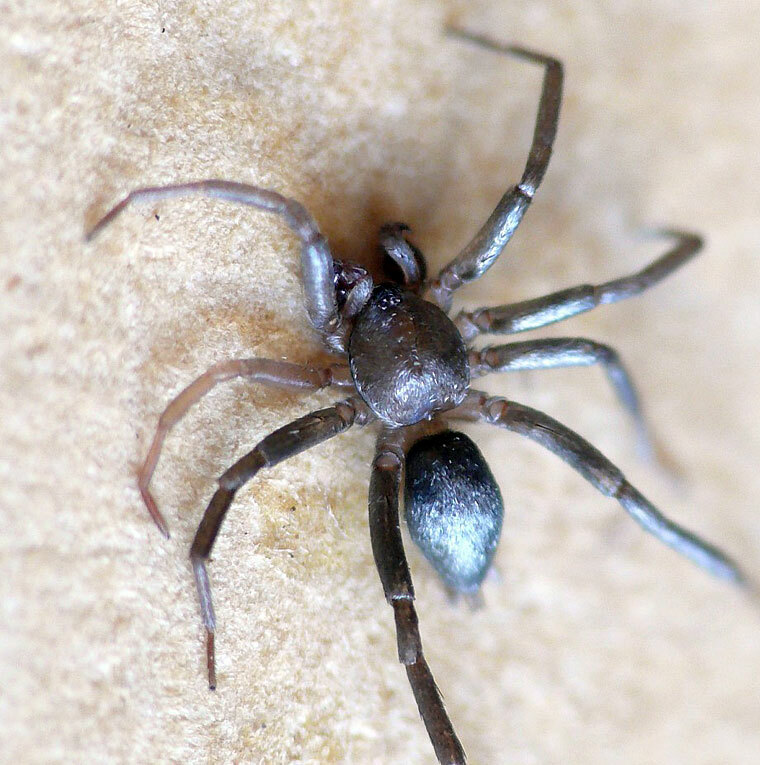 A frequently found spider in leaf litter, body length of the male around 3.5mm, the female around 4mm. A very silvery, a fast running spider in most coastal habitats good rainfall. 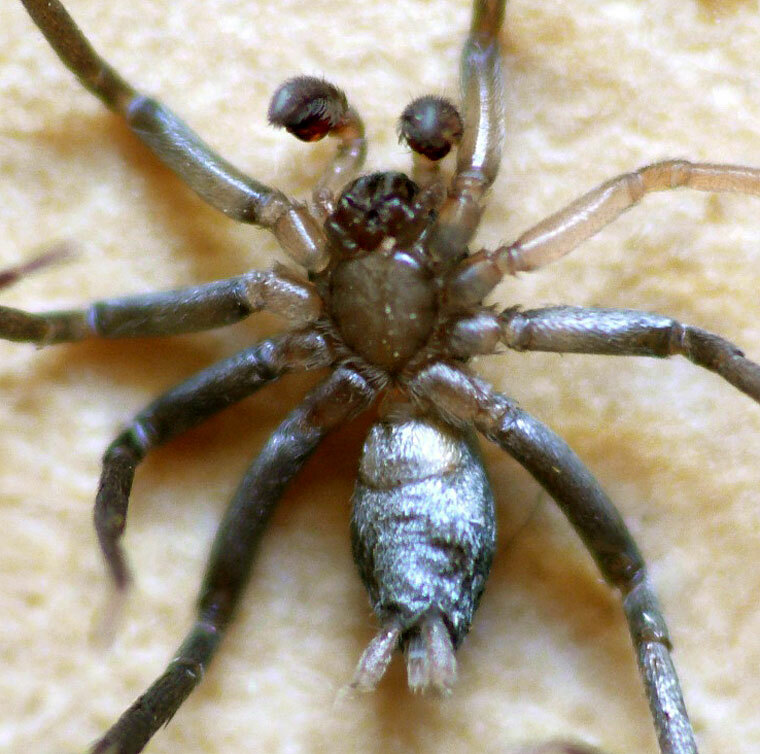 The characteristic barrel-shaped anterior spinnerets, one spinneret diameter apart, are clearly visible. Anterior spinnerets are those, underneath, closest to the front of the animal, or if all at the same place, those directly underneath in the middle.